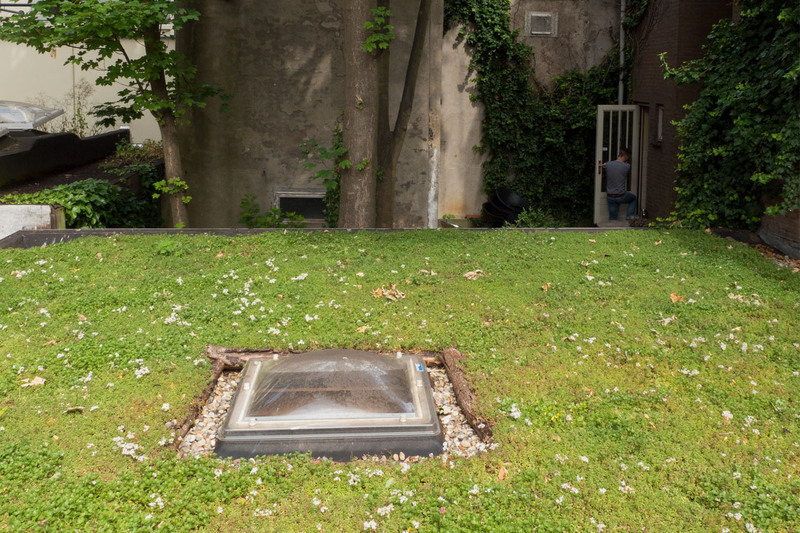 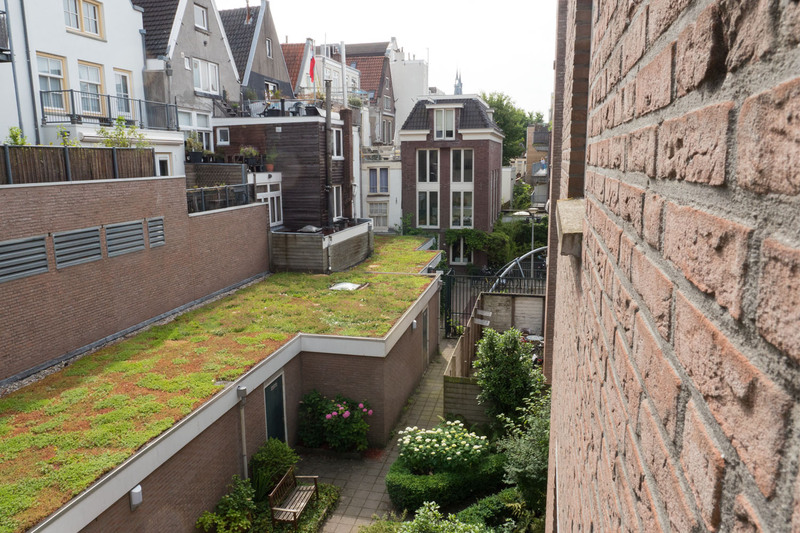 Challenge: To transform the black roof of the storages to a lovely green roof. 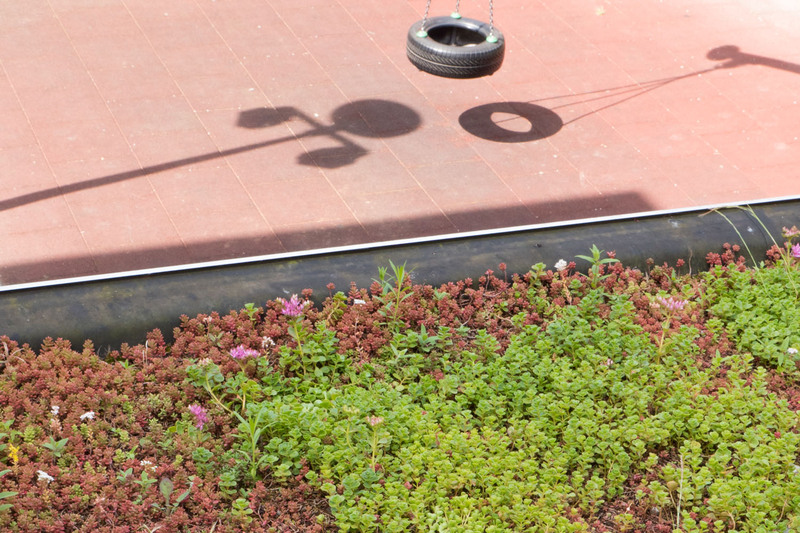 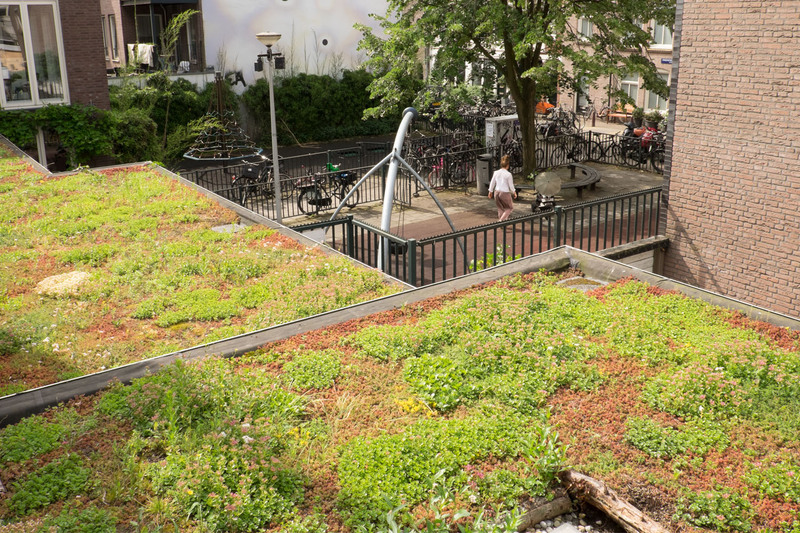 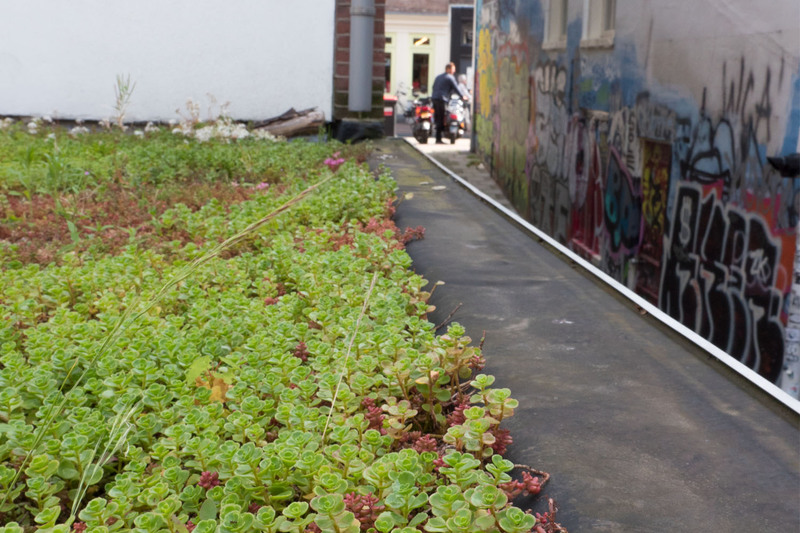 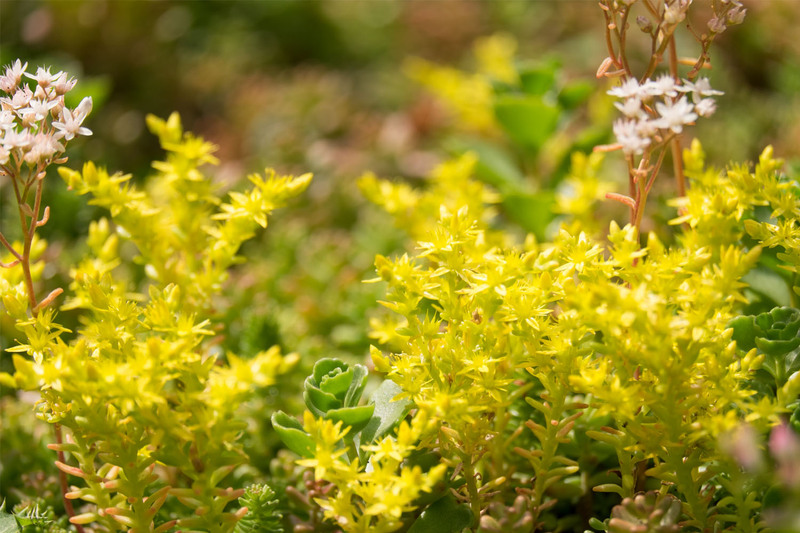 Result: This green roof has a basic sedum planting because of the low weight capacity. 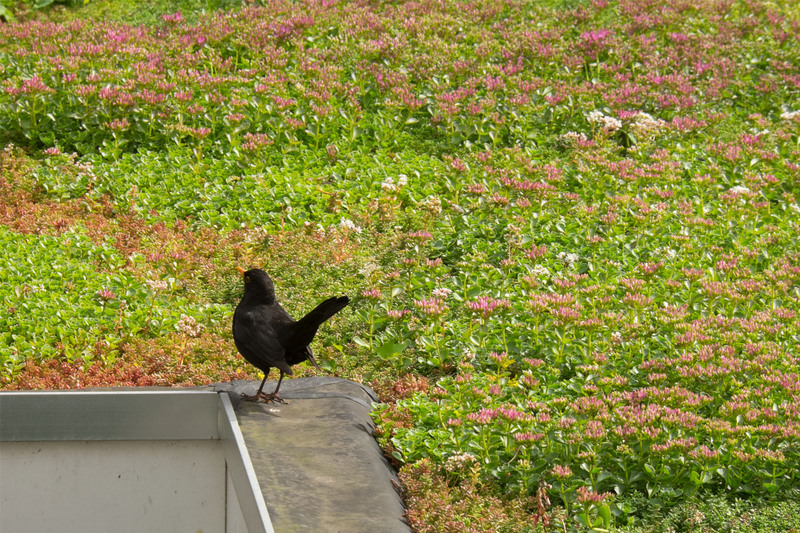 The green roof doesn’t just improve the view, it also contributes to the biodiversity and the roof it’s lifespan.